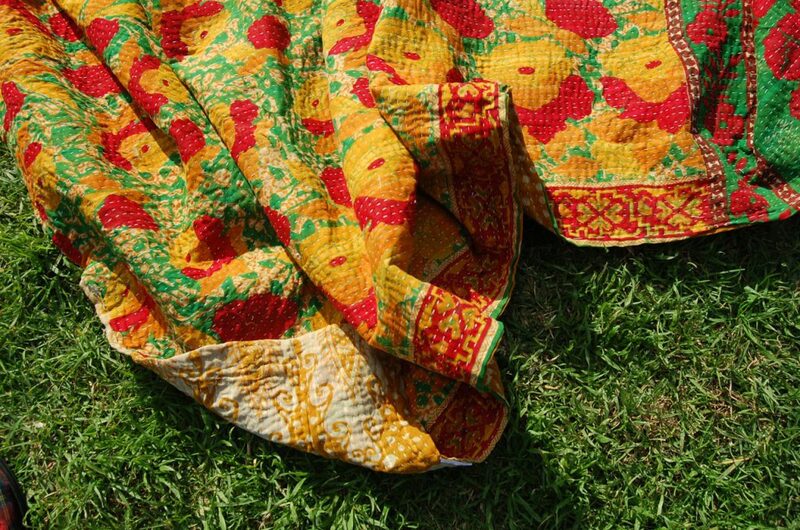 SAFFRON is a magical quilt! 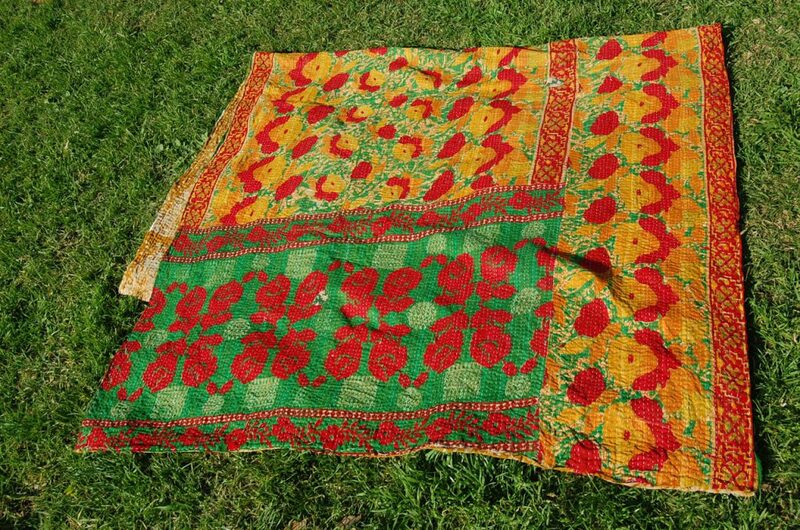 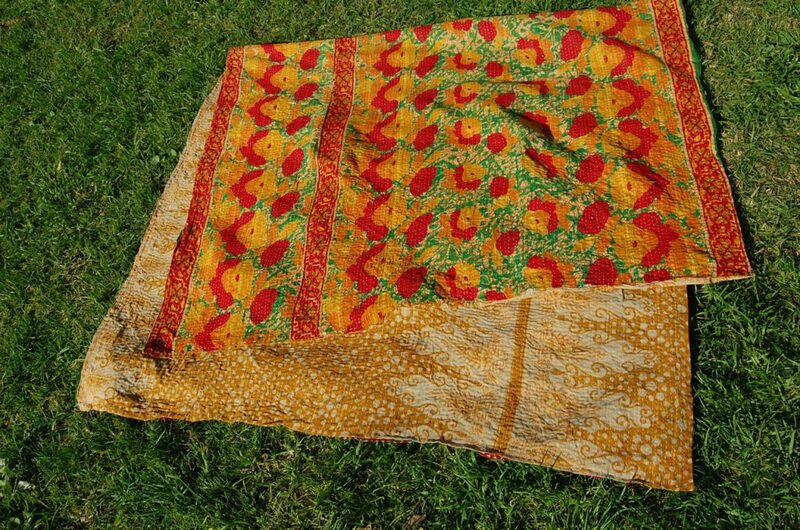 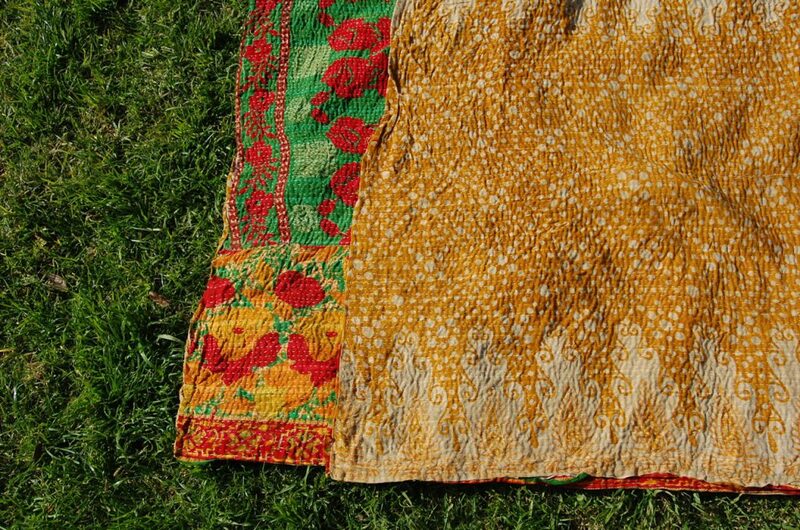 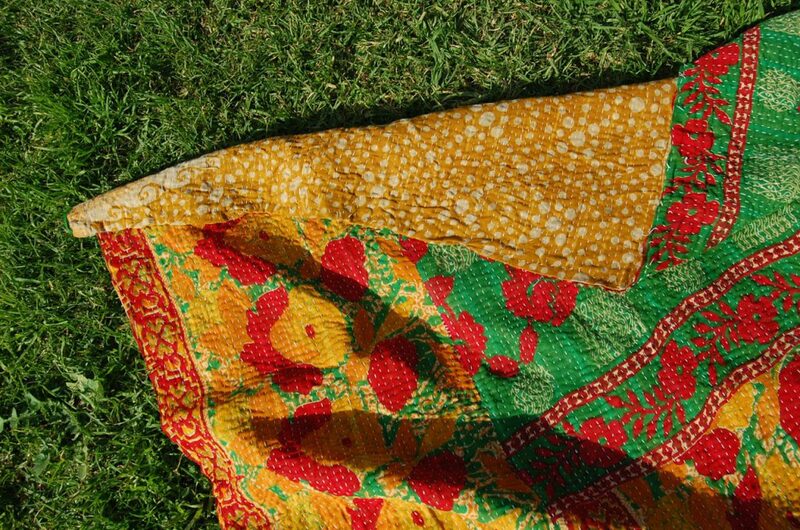 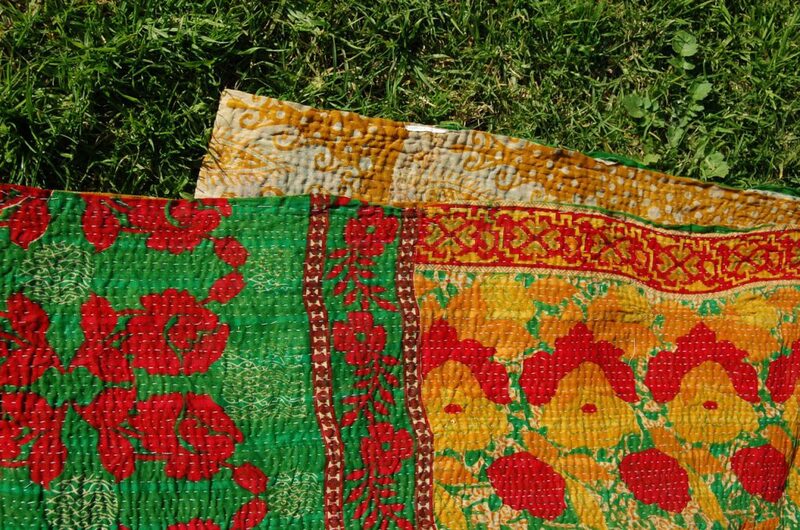 The richness of the colours of this vintage kantha quilt remind me of the brightly coloured sarees worn by the women of India. 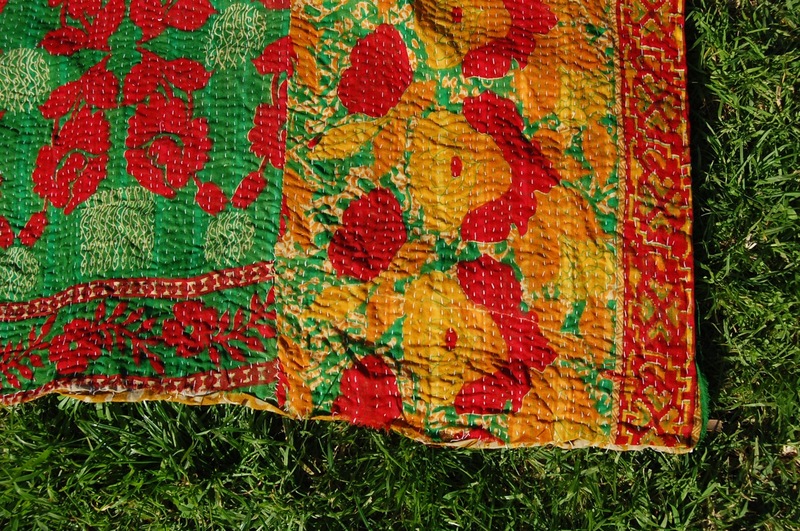 The natural dye turmeric is often used in fabric production in India. 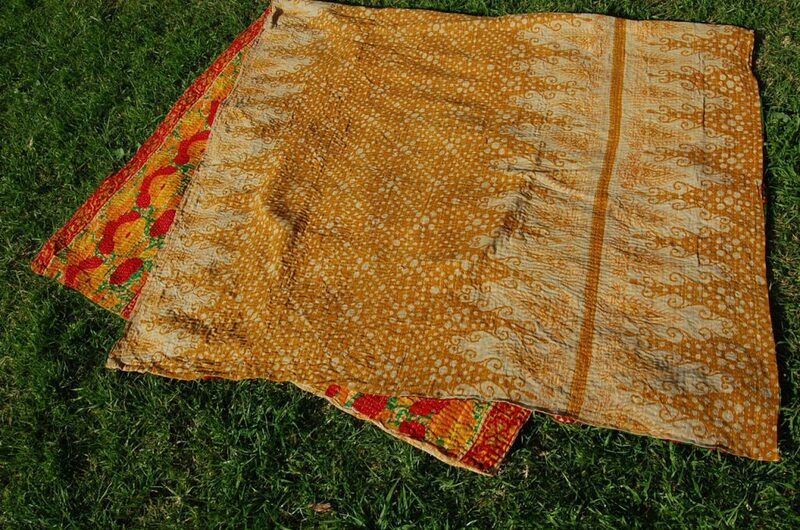 The rich yellow-orange ochre of this beautiful cotton quilted throw is reminiscent of the wonderful natural root dye.